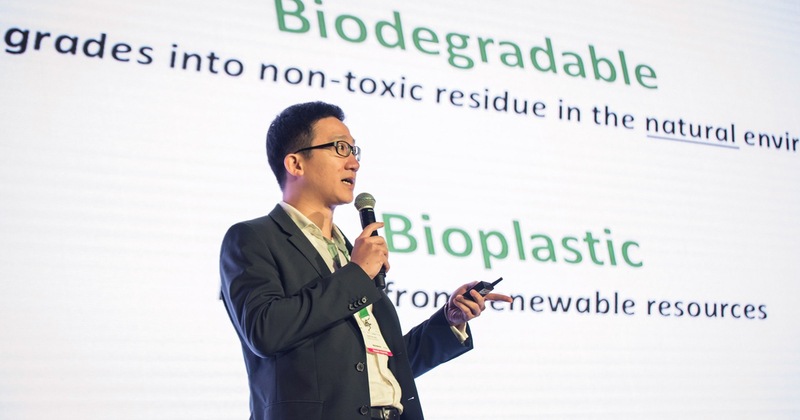 Singapore-based startup RWDC Industries, which manufactures biodegradable plastics, announced today that it closed a US$13 million series A2 round. The funding round was led by Vickers Venture Partners and WI Harper Group, and also included finance firm Ridgevale Enterprises and two other individual investors. The round also sees Vickers Chairman, Finian Tan, and WI Harper Chairman, Peter Liu, join RWDC’s board of directors. Previously, the firm also received S$980,000 when it won Temasek Foundation Ecosperity’s Liveability Challenge in July 2018. RWDC is using the prize money to turn their proposal for replacing single-use plastic drinking straws with straws made from biodegradable biopolymer into a reality. They currently develop a type of biopolymer called PHA (polyhydroxyalkanoate), which is synthesised by natural bacterial fermentation of sugars and plant-based oils, and certified to be completely biodegradable in soil and water. According to RWDC, PHA can be “made into different plastics with multifaceted physical properties and many applications”, for various purposes and products. For now, they plan to develop their biodegradable drinking straw prototypes by the end of the year, and start producing them on a commercial scale by mid 2019. The firm, which has two facilities in Singapore and Georgia, US, will be putting this round of funding towards expanding its production capacity in Georgia to 2,000 tonnes a year. This could not only put the Singapore-based company up alongside the largest PHA manufacturers in the world, but help curb the rapid production of harmful plastic waste.